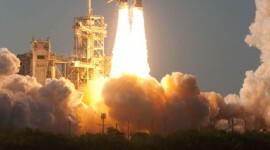 [Audio clip: view full post to listen] Space shuttle Discovery roars into orbit, the crackling thunder of her twin Solid Rocket Boosters threatening to overwhelm the microphone. 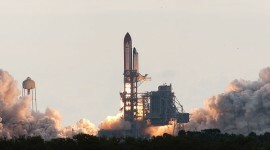 Note: if the audio player doesn’t appear, click the title (Launch of STS-133) to view the actual post. 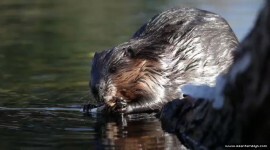 [Audio clip: view full post to listen] If a beaver chews on branches and there’s nobody to hear, does it make a sound? As it turns out, yes it does (265KB MP3). Note: if the audio player doesn’t appear, click the title (Chew Baby Chew) to view the actual post. 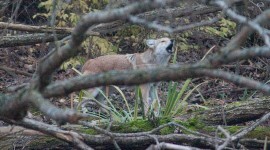 [Audio clip: view full post to listen] The lonely call of a Toronto Island coyote on a still November night (919KB MP3). Note: if the audio player doesn’t appear, click the title (Conversations) to view the actual post.